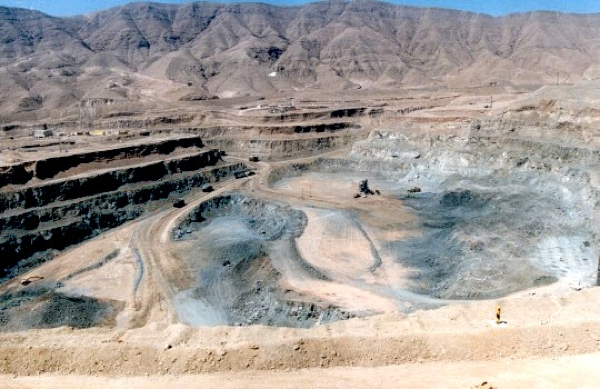 Canada's Lundin Mining (TSX:LUN) took over Freeport-McMoRan Copper & Gold (NYSE:FCX) Candelaria/Ojos de Salado copper mine in Chile, in a transaction valued at $1.8 billion late last year and on Tuesday after the market closed released its first reserves update for the 80%-owned operation. On Wednesday the Toronto-based miner jumped nearly 4% shortly after the open on a generally negative day for mining and metals counters on the TSE main board. By early afternoon, the $3.75 billion stock had pared some of the gains but is still up 28% from its 2015 lows struck mid-January. Lundin said in a statement two new deposits, Susana and Damiana, increased contained copper reserves by 190,000 tonnes which upped total reserves for the Candelaria open pit to 314.4 million tonnes grading 0.56% copper and 0.13 g/t gold, for 1,770,000 tonnes of contained copper, 1.3 million ounces of contained gold and 21.8 million ounces of silver. Candelaria, which first went into production in 1993, had a roughly 14-year mine life when Lundin acquired the asset from Freeport and the two new discoveries extend the reserves life by around three years. The Susana and Damiana underground deposits are of a higher grade, are below the existing open pit at Candelaria and can be easily accessed from existing and new portals from the pit. The new deposits could come on stream within three years. Lundin is a diversified base metals mining company with operations in Chile, Portugal, Sweden, Spain and the United States and will spend some $400 million this year on capital projects. The company expects copper production, including from its 24% interest in Freeport's giant Tenke Fungurume copper-cobalt mine in the DRC, of 258,000 tonnes – 272,000 tonnes in 2015 with roughly half coming from Candelaria. For this year zinc production of 146,000 tonnes – 155,000 tonnes and nickel production of 30,800 tonnes – 34,500 tonnes is expected.